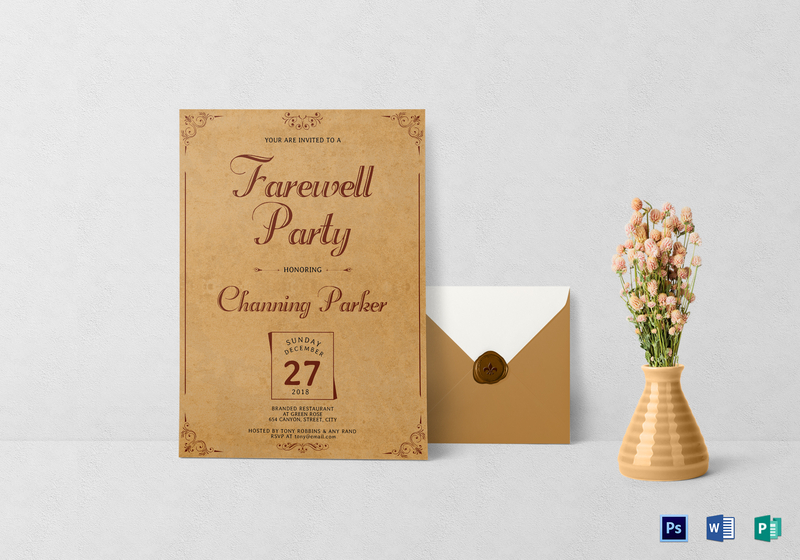 Have a retro-feel farewell party with this vintage invitation template. 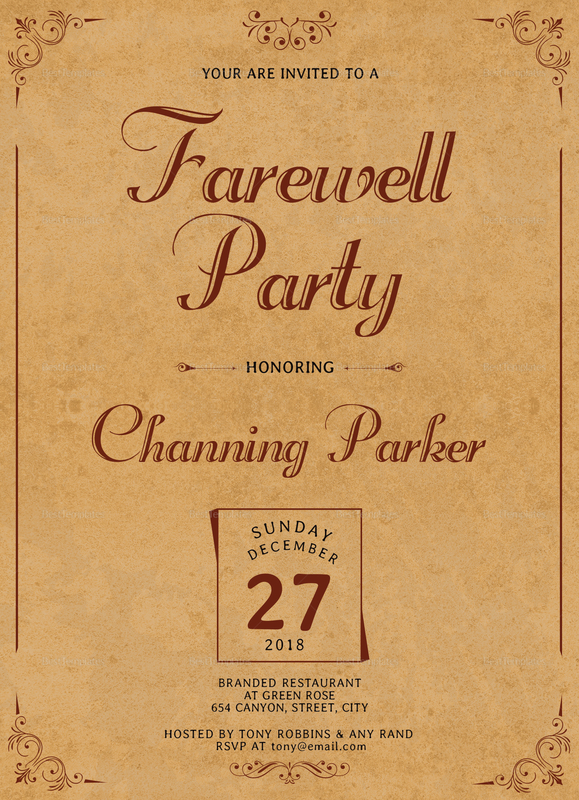 High-quality layout, fonts, and graphic files are incorporated in the design that you can use or modify however you like. Easy to edit and customize with all versions of Photoshop, MS Word, and Publisher. Print ready or share digitally with email and other online platforms.